This postcard shows a Brill tram of the series ordered in 1909. The text on the card was written on 12 may 1919. At the right is the Palácio das Cardosas, at the left the Igreja dos Congrelados. 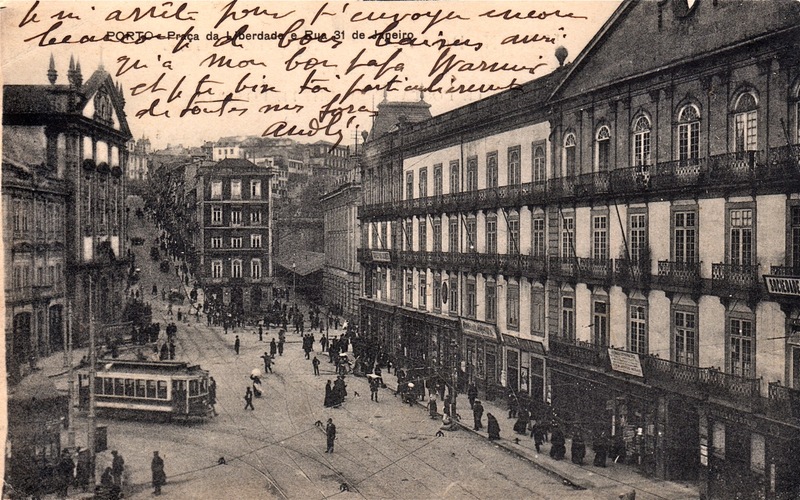 In the background are the Rua 31 de Janeiro and the Rua da Madeira with visible a small piece of the side of the Estação de São Bento. 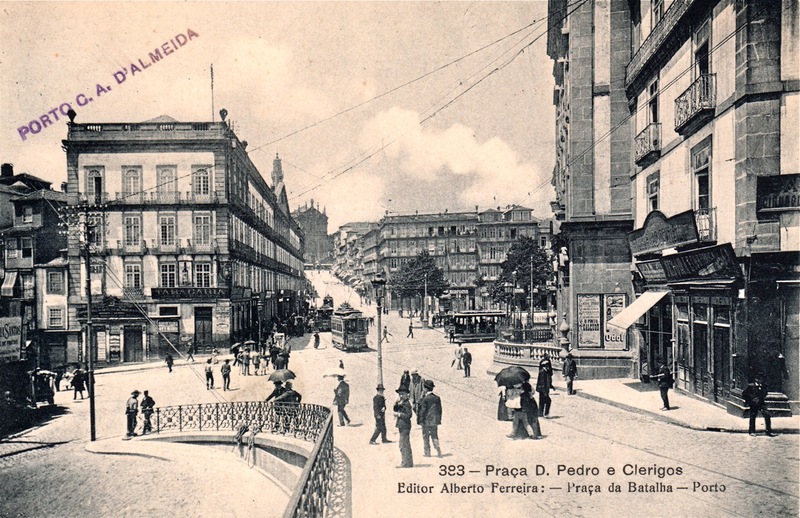 On Praça are the trams 151, build in 1904 by the local company A Constructora, and 124, an electrified former mule tram. Behind these two trams are two other trams. At the right is one of the two open trams 141-142, likely 142, converted in 1904 by A Constructora from a mule tram to an electric tram. At the left is the Palácio das Cardosas, at the right the Igeja dos Congrelados. In the background is the Rua dos Clerigos with the church and tower of that name.